Londoner Sami Switch mixes rap, spoken word (including sampling Charlie Chaplin's speech from 'The Great Dictator'), and soul on his new 'Solace' EP. A similar genre-defying approach has seen Samm Henshaw rise up the ranks of late, while Plan B is also a possible influence. We particularly like the quieter moments on the EP, perhaps best heard on opener 'Solace (Nearly Home)'. Opening in an understated fashion with the dictionary definition of "solace", Sami Switch incorporates an ethereal backing to accompany the spoken word introduction before a breathtaking burst of acapella soul. At just 108 seconds long, you'll likely be desperate for more. Download the EP for whatever price you choose from Bandcamp. 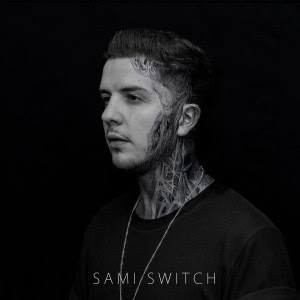 Find more info at facebook.com/sami.switch.